… vicariously through others, of course. Coach and Nana went to Hawaii in 2007 and again just recently. Both times they bought matching dresses for the girls and for me, and I took pictures of the three of us in both sets of dresses. Can you believe how much our little hula girls have grown?! 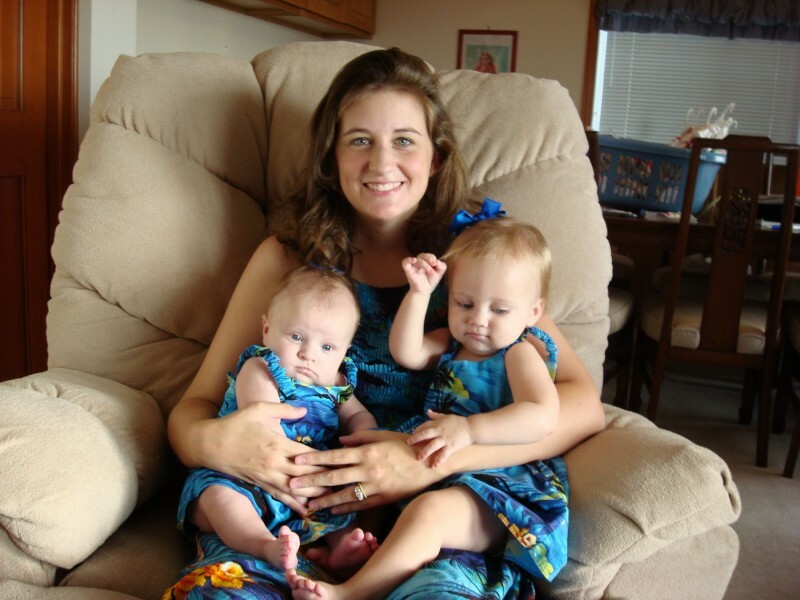 September 2007… Emmy was two months old, and Ana was fourteen months old. So little! 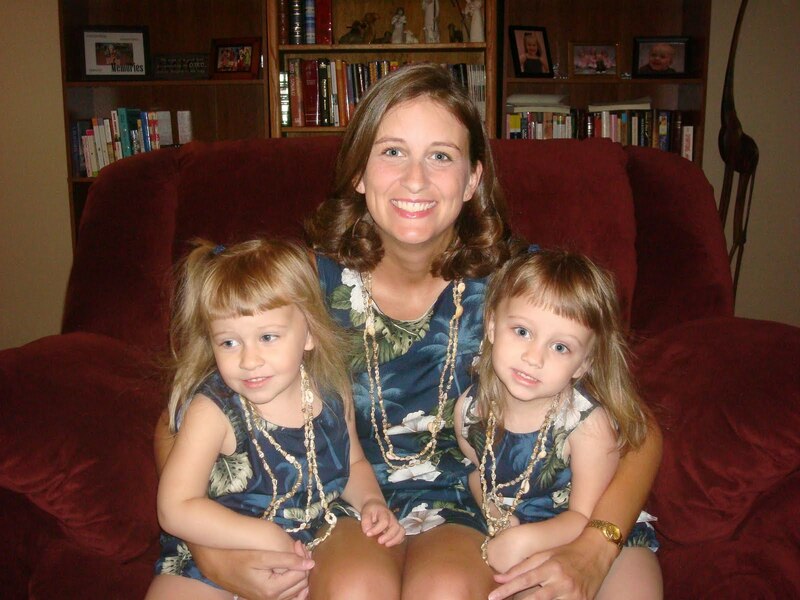 September 2010… Emmy is three years old, and Ana is four years old. What grown up girls! You are such a beautiful family.